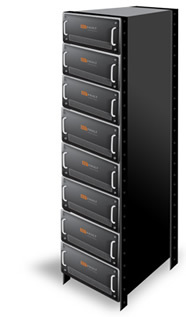 BeVault delivers a range of battery storage solutions to maximize efficiency, streamline operations and elevate profits. Industrial Energy Cost Reduction etc. BeVault Module is designed for inclusion in large battery plants for stationary applications. Modules are available in various voltages, and may be stacked in series to achieve higher voltages, in parallel to achieve higher currents, or either to achieve higher power and energy levels. BeVault Modules are designed to enable precharge, post-discharge as well as a faster, safer connection of modules in parallel (hot-swap). Modules communicate through a CAN bus to a central controller. BeVault Modules are designed to be used with standard 19” Server Racks and can be combined and built into BeVault System using customized shipping containers.